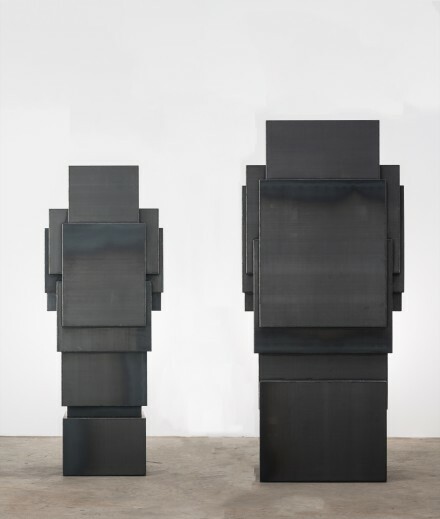 On view at Galerie Thaddaeus Ropac’s Salzburg location through October 31st is Space Out, artist Antony Gormley’s ongoing investigation of physical space and its encapsulation through sculptural intervention. 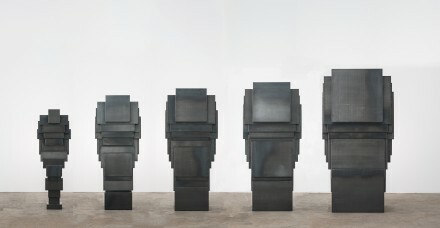 One of the most recognized and influential sculptors working today, Gormley has always been interested in space and its correspondence to physicality, yet with his recent series, Expansion Field, the artist accentuates his often noticeable tendency towards stripping human figures down to geometrical forms. Divorced from human attributions such as curves or postures, these robust creations bear various references to the history of art including Minimalism and Russian Constructivism. Exhibited here is a selection from Gormley’s Expansion Field series alongside a group of drawings that respond to the sculptor’s statement. “Each work isolates a space which, while becoming visible, isolates a darkness that is invisible,” he notes. Akin to an army of soldiers or, contrastingly, members of a family, the grouped figures deliver notions of determination and sturdiness, stemming from their heavily resilient and sharp physical presence, while still pushing towards a narrative arc in their groupings and positions. The Corten steel sculptures, which seem hesitant to transfer any evidence of emotion or narrative, manage to catch viewers off guard with through Gormley’s ability to imbue them with a vivid sense of life and action. This increasingly developed formal language, and the equally advanced sense of human form comes as a pleasant surprise from the artist, although by no means an offshoot from his lengthy and accomplished career. While the intangible presence of the human form, and its relation to human nature have always sat at the core of the artist’s work, these pieces feel like a great leap forward in Gormley’s figurative execution and artistic project. Placed in remote corners of the universe, from rooftops of Manhattan skyline to remote cliffs of British landscape, the artist’s life size human figures have further complicated the already puzzled human condition, while calmly contemplating their presence isolated from the crowd. His current sculptures, on the other hand ponder, their own tangibility and duality between space and material, rather than the ephemeral. 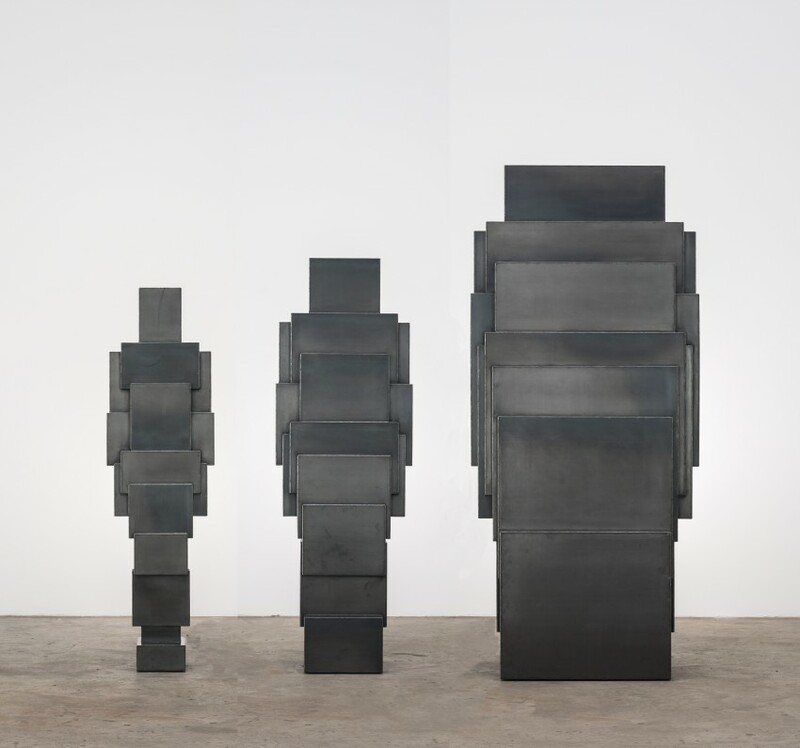 Through his current exhibition and Expansion Field, to which the works on view belong, Gormley challenges his viewers that are accustomed to his strikingly familiar works, pushing his work further forward while remaining tied to his ongoing work. 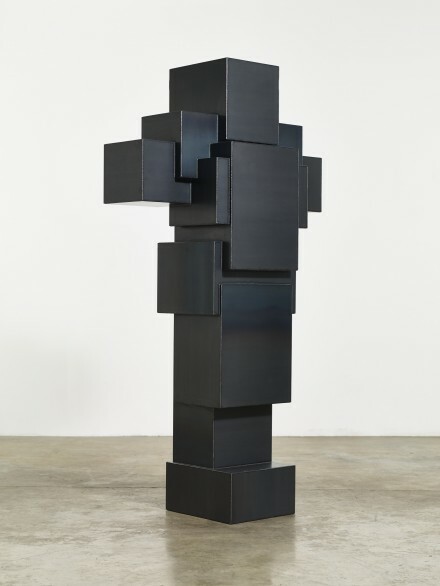 Anthony Gormley: Space Out is on view at Galerie Thaddaeus Ropac through October 31, 2015. 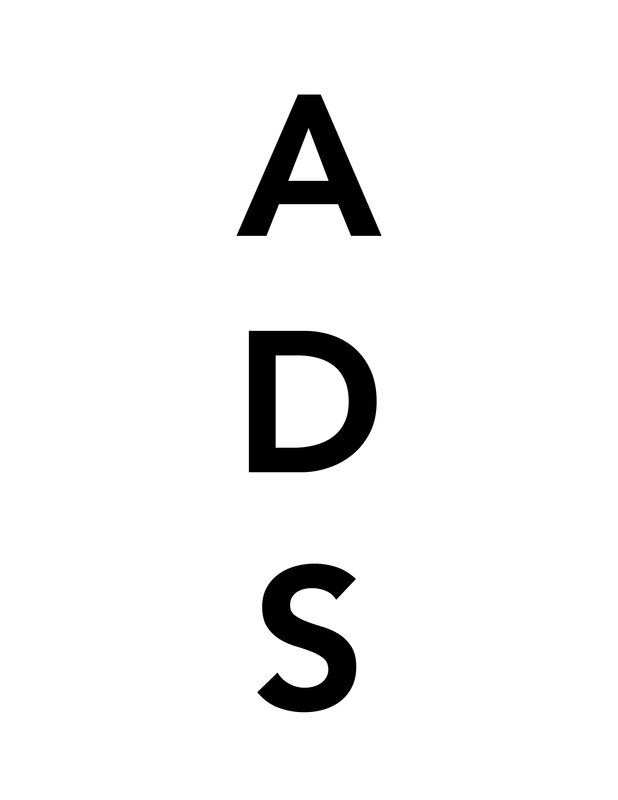 This entry was posted on Friday, October 16th, 2015 at 12:00 am	and is filed under Art News, Featured Post, Show. You can follow any responses to this entry through the RSS 2.0 feed. You can leave a response, or trackback from your own site.